After various image and design leaks of its Levante SUV, Maserati finally shared a few images of its own. The photos come just one day after production images of the Levanted leaked, and it’s definitely the same vehicle we saw yesterday. The Maserati Levante is the first SUV in the manufacturer’s history, slated to debut at the Geneva Motor Show in March and launch in Europe this spring. 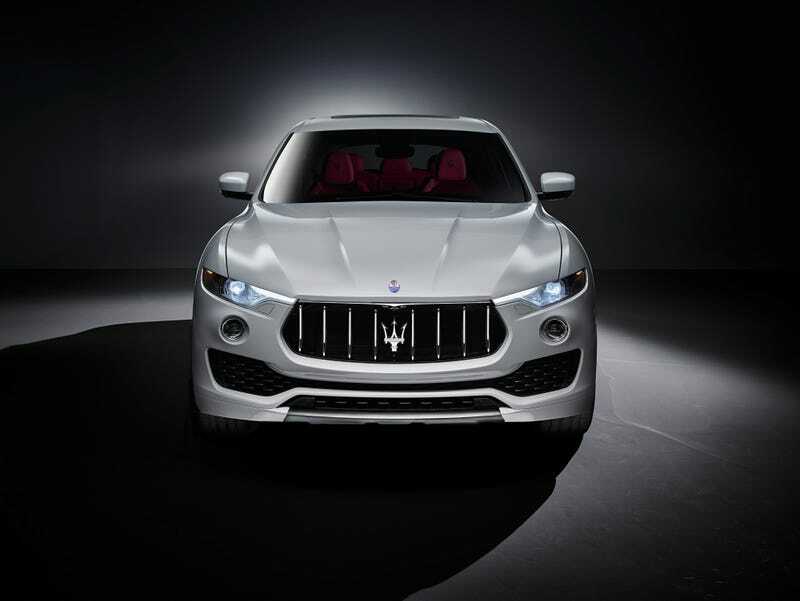 Maserati claims that the first models of the Levante already rolled off the line, and its worldwide launch will come later in 2016. Maserati teased an SUV all the way back in 2011 with the Kubang concept, and patent drawings of the Levante originally leaked in May 2015. The Levante will have gasoline and diesel options according to the Maserati announcement, and the most recent photo leak noted that the engine lineup reportedly includes two 2.9-liter gasoline V6s and one 2.9-liter diesel V6. According to the source of the leak, Autoweek.nl, at least one of the gasoline engines is expected to make 430 horsepower and the diesel will round off at about 275 horsepower. Maserati didn’t confirm details of the engines in its announcement, and did not specify which option(s) will be available in the U.S.